Sprint and HTC will take the stage in New York City during a press event Wednesday night where the two companies are expected to announce the EVO One. Just hours ahead of that announcement, however, images of the device were spilled out on to the Internet by Droid-Life. So far we're seeing a black back with a kickstand — a feature that more phones really need to start offering — and HTC's beautiful industrial design. 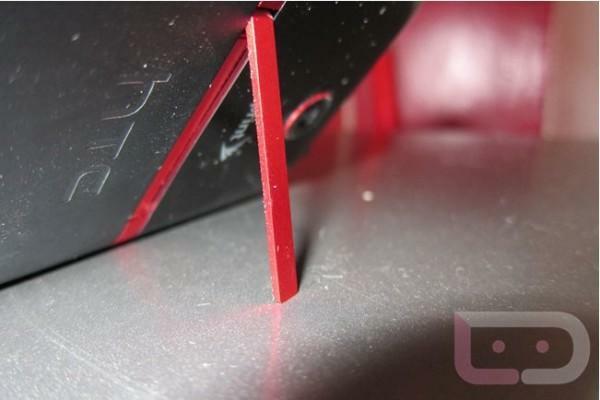 The EVO One is expected to be among Sprint's first 4G LTE devices, joining the LG Viper and the Galaxy Nexus. Other possible features include a 4.7-inch display with a 720p resolution, just like the One X, Android 4.0.3, Sense 4.0, NFC, an 8-megapixel camera capable of recording 1080p video and a 1.3-megapixel front-facing camera. We're definitely digging the kickstand on this model and can't wait to hear more about the phone tonight.